We're old enough to drink! This week we talk about iOS 7 Beta 2, dual flash on the iPhone 5S, and 10 years of Apple Retail Stores. #YouPostTheyHost Don't forget to submit the Apple stories you'd like us to talk about to our subreddit /r/themacgist. Oh Yeah! Follow us on Twitter! On this epsiode of The Mac Gist Podcast we talk a little more about iOS7, PRISM, AppleTV Updates, and the new MacBook Air reviews are in! Please rate our podcast on iTunes! Thank you, you're awesome! 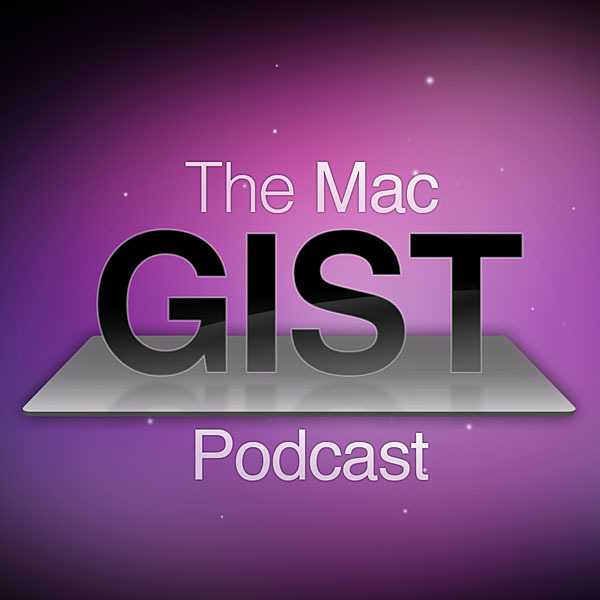 This week on The Mac Gist Pocast we talk about WWDC 2013. New Macbooks, OS X Mavericks, and iOS 7! This week we talk a lot about Google IO and what it means for Apple. We also discuss coming changes to AppleCare plans as well as the fingerprint technology that is coming to the next iPhone. Plus, our favorite apps! This week we talk about Adobe going all in on the cloud, iTunes on Windows 8, and what we really want iOS 7 to look like. On this weeks episode of The Mac Gist Podcast we discuss if Apple is really doomed, what if Apple purchased Intel?, and new MacBooks at WWDC? On this weeks episode we talk about the Apple earnings report, WWDC tickets selling like hotcakes, iTunes turning 10, and how you could have coffee with Tim Cook! On this weeks episode we talk about Ron Johnson, iMessage outages, AppGratis being pulled, and poor PC shipments. remember to subscribe to the subreddit /r/themacgist and submit stories for us to talk about on next weeks show. On this special "late night" episode of The Mac Gist Podcast we talk about Facebook Home. remember tosubscribe to the subreddit /r/themacgist and submit stories for us to talk about on next weeks show. On this weeks show we talk about Apple's Trademark and Patent issues, iOS 7 issues, and Tim Cook's Apology to China. There will be another episode tomorrow! We will be talking about Facebook Home in Episode 12.5! Look for that coming soon! Please spread the word of our podcast. Tell friends and family to subscribe to the podcast on iTunes and on Stitcher Radio. Also subscribe to the subreddit /r/themacgist and submit stories for us to talk about. On this weeks episode of The Mac Gist Podcast we talk about more iTV rumors, Apple and their iCloud woes, and the new T-Mobile iPhone! This week we discuss Apple's latest aquasition and hiring of Kevin Lynch. We also talk about the latest iOS updats as well as updates to iCloud. One this weeks episode of The Mac Gist Podcast we take a look at OS X 10.8.3, The Galaxy S4 anouncement and how it copied Apple by copying itself. Bite My Apple.co. Some other user submitted stories from our subreddit! This weeks episode of The Mac Gist Podcast we talk about iRadio, Apple Maps v Waze and Google Maps. We also find some great Mac Apps thanks to some of our reddit subscribers and talk about our picks for iOS apps. This weeks episode of The Mac Gist Podcast we discuss Apple ad game, the stock market, future products and rumors, as well as tips and tricks and some suggested apps. On this episode of The Mac Gist Podcast we talk about Google. Really, we do. We talk about Google Glass and wearable computing and Google opening the maps API and how it will effect Apple. Also we talk about iOS 6.1.3 killing the jailbreak? Maybe? This episode of The Mac Gist podcast we discuss Tim Cook talking about cheaper iPhones, iOS 6.1 Security Issues, the iPhone without Google, Siri going eyes free, and a whole lot more! On this weeks episode of The Mac Gist Podcast we talk about a Possible Siri OS, an Apple Watch, more jailbreak info, and a whole lot more. On this weeks episode of The Mac Gist Podcast we talk about the new iOS Jailbreak and the tweaks you can install, HBO Go on Apple TV, The Mac Pro, and a lot of other fresh topics. We are now on Stitcher Radio! Subscribe to us there! Follow and Like us on Facebook and Twitter. Have your friends do the same as well! On the second episode of The Mac Gist Podcast we talk about iOS 6.1, the Apple earnings call, and some of our top Mac and iOS apps. Plus a whole lot more. Make sure to subscribe to our subreddit /r/themacgist and follow us on twitter @themacgist. On the first episode of The Mac Gist Podcast. We descuss CES 2013, Apple's Stock Price, new iPhones and iOS 7, and much more! Find us on facebook,twitter, and the subreddit /r/themacgist. Getting the most important topics on all things Apple, Mac, and iOS.